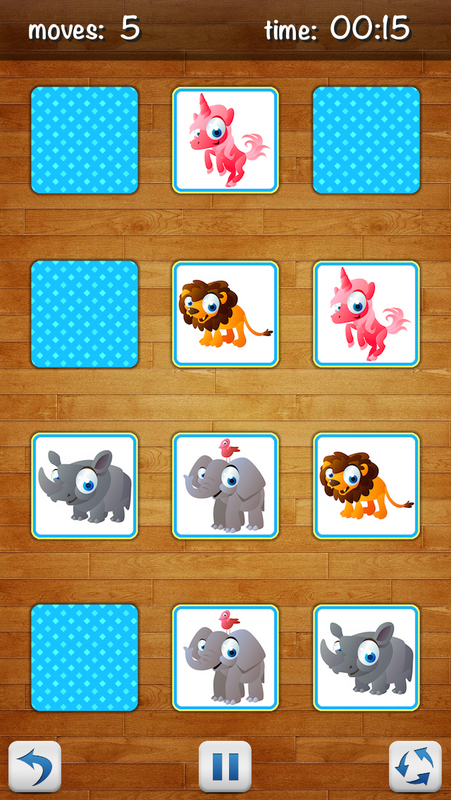 Memory Match for kids – find pairs, match cards and train your memory and concetration! 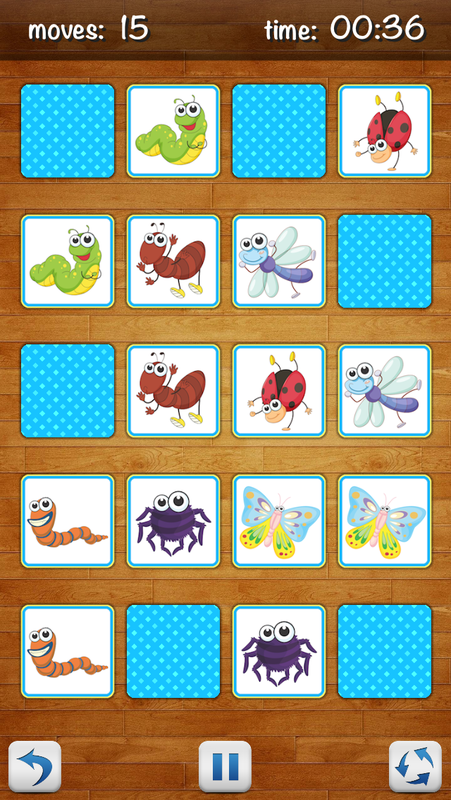 Memory Match HD is an interactive, adaptive and fun memory game for children of all ages. 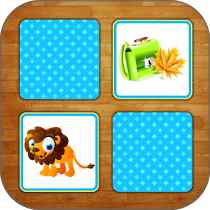 It’s a perfect way to engage children in a fun game while they exercise their memory – play and learn at the same time! Simply tap two cards to flip and match a pair. 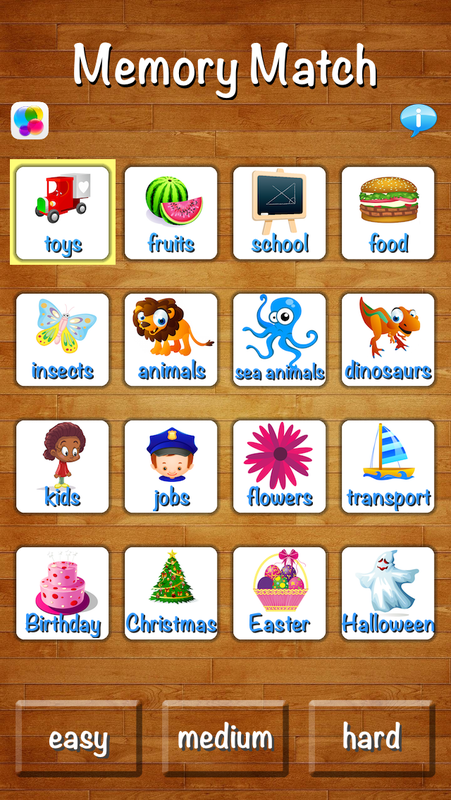 It contains 16 categories of beautiful, high resolution images: toys, fruits, school items, food, insects, animals, sea animals, dinosaurs, kids, jobs, flowers, transport, birthday, Christmas, Easter and Halloween, and 3 level system. 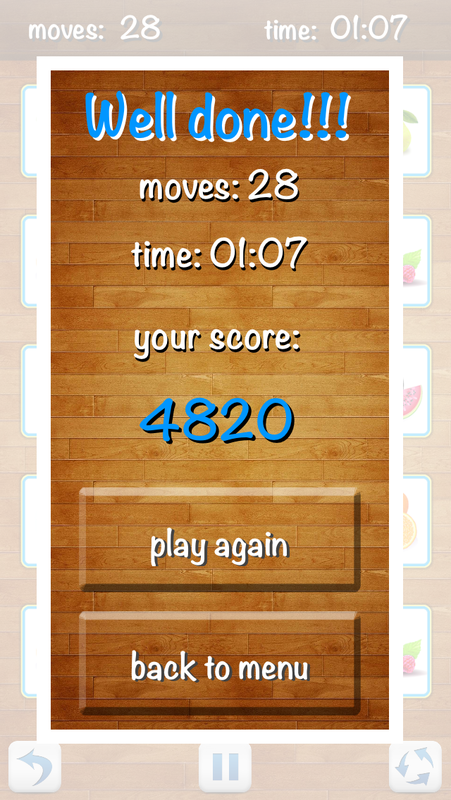 Together with lovely sounds, timer, score, pause and resume, the app makes an addictive game for every child.